BINGO! It looks just like it. 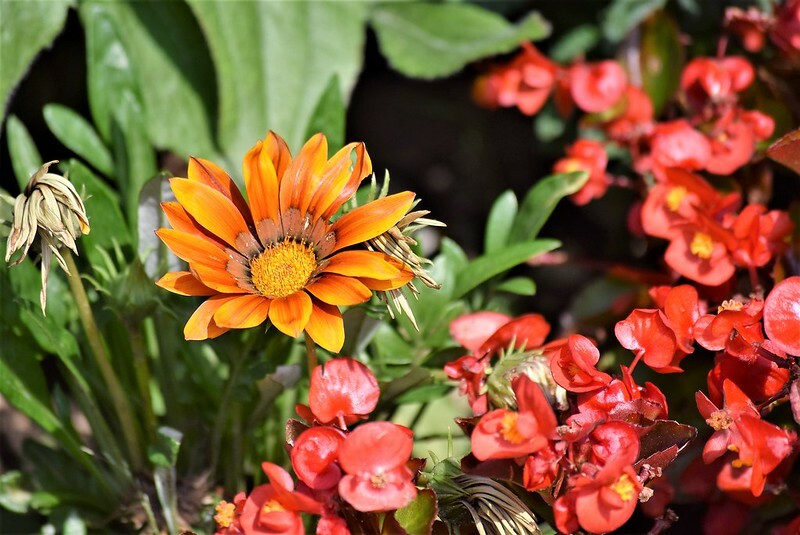 Gazania rigida is one of the original specie that was used to breed the modern garden varieties. This one is likely a garden variety, but it looks just like the real McCoy. Even if it is a cultivar, it could be a cultivar of the (unhybridized) Gazania rigida. Whoever planted it would likely be pleased that you enjoyed photographing it and sharing the picture. Thanks, you see I am making progress under your watchful eye. I often take photos of the flower beds in our town and on the way there. This was the flowerbed planted next to our local railway. Well, your are getting the name without my help.